Mayor Rahm Emanuel, Superintendent Michael P. Kelly, Alderman Michele Smith, and members of the Lincoln Park and theater communities today broke ground on the new Theater on the Lake year-round cultural facility, located at Fullerton Avenue and Lake Shore Drive. The building, just steps from Lake Michigan, will undergo a $6 million facelift to be funded by Lakefront Hospitality Group. The Group’s proposal to remodel, renovate and operate the one-of-a-kind entertainment and cultural venue was in response to a concession Notice of Availability that was advertised in December of 2015. Theater on the Lake’s new redesign will preserve the historical aesthetics of the loft-like structure, while incorporating modern elements to transform it into a multi-use, year-round venue. The structure will be divided into three sections: a new 330-seat main theater with new lighting, sound system, green rooms and dressing rooms, two-adjacent event spaces with access to a lakefront terrace, and a public restaurant furnished with a kitchen and a semicircular outdoor patio with a breathtaking vista of the city skyline. The project is part of the Mayor’s commitment to elevate and expand cultural assets and reinvigorate arts programming in Chicago’s neighborhoods, as called for in the Chicago Cultural Plan; as well as his Building on Burnham vision of maintaining public access to green spaces along the lakefront for the purpose of promoting recreation and leisure activities. The renovations come on the heels of the completion of the Fullerton Revetment project earlier this year. The U.S. Army Corps of Engineers' shoreline protection project at Fullerton Avenue Beach added approximately 5.8 acres of park space to the area neighboring the Theater on the Lake building. Renovations are expected to be complete in summer 2017. Carved in part out of an industrial wasteland on the Southeast Side, the bike park has just about everything a cyclist could want: zigzagging dirt tracks, wooden ramps, stairs and sand pits, for everyone from kids to cyclo-cross competitors to BMX pros. The park is planning to host races — its first is later this month, on Black Friday — and has a goal in the next five years of staging the U.S. championship in cyclo-cross, an off-road cycling sport growing in popularity. The bike park is situated in South Deering, less than a half-hour from downtown, and provides respite from city life. No cars honking. No skyscrapers. 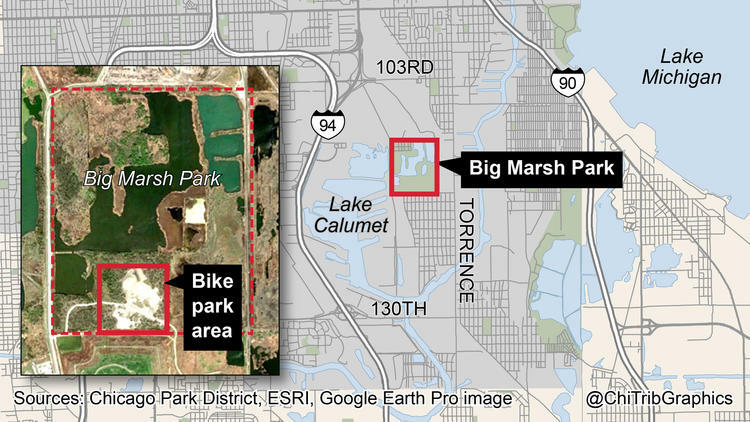 The remaining area of the 278-acre site is undergoing habitat restoration with birds returning, including a pair of yellow-headed blackbirds, a species that has not been seen at Big Marsh for more than 20 years, according to the Chicago Park District. 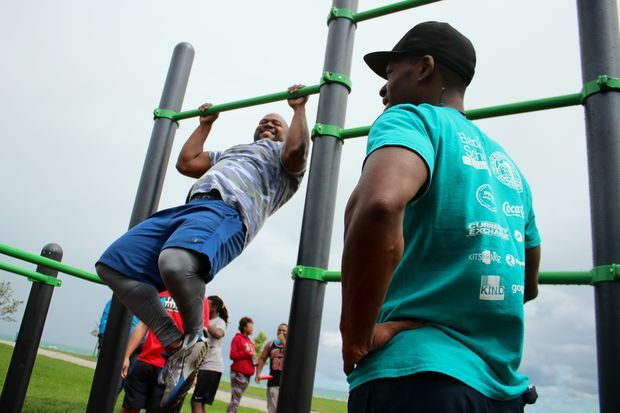 The Chicago Park District made it official Thursday with the opening of the Burnham Park Outdoor Fitness Station, a small jungle gym aimed at exercise buffs on the Near South Side. Standing inches from the Lakefront Trail at 39th Street, the structure looks like an austere, scaled-back version of an elementary school play lot. Instead of a see-saw, it has incline benches. In place of a slide, there's a rope climb. Mayor Rahm Emanuel, Chicago Park District General Superintendent Michael P. Kelly, Alderman Taliaferro (29th) and community members today cut the ribbon on a new turf field and running track at Amundsen Park, 6200 West Bloomingdale Avenue, on the city’s west side. This is the most recent project completed under Mayor Emanuel's Building on Burnham plan, a comprehensive vision to invest in Chicago's parks and open spaces. “Investments like these not only provide spaces for people to get active- for students, they can become a gateway to a brighter future,” Mayor Emanuel said. “The new turf field and running track at Amundsen Park will provide a place for track and field, football, soccer and lacrosse teams to practice and compete, helping athletes increase their chances at obtaining college athletic scholarships.” The new field features a six-lane, 400-meter running track complete with a long and triple jump sand pit, and a “D zone” outside the south end of the turf field to allow for high jumps; additional upgrades include a digital scoreboard, stadium lighting and a new turf field that can accommodate three sports. Chicago Park District General Superintendent and CEO Michael P. Kelly joined community members today to celebrate the completion of refurbished playgrounds at Elston Park in the Avondale neighborhood and Bell Park in the Montclare neighborhood. 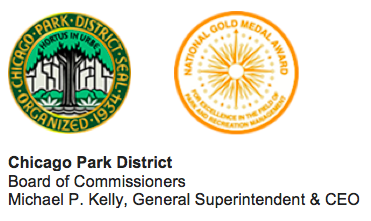 Both playgrounds were completed as part of Mayor Rahm Emanuel’s Chicago Plays! program. The renovated playgrounds at Elston and Bell Parks feature slides, swings and climbing equipment. The Chicago Plays! playground renovation program was launched in the spring of 2013 by Mayor Emanuel, who announced that over the next five years, the Chicago Park District will rebuild, repair and/or refurbish 300 playgrounds in communities across Chicago. This year, the Mayor announced that 77 playgrounds will be completed as part of the program. 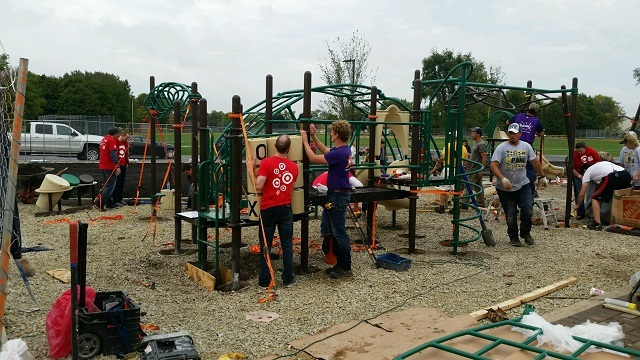 More than half of these 77 have already been completed; to date this year, 48 playgrounds have been completed and opened. In 2014, 103 playgrounds were refurbished, and in 2013, 61 playgrounds were rehabilitated through the program.